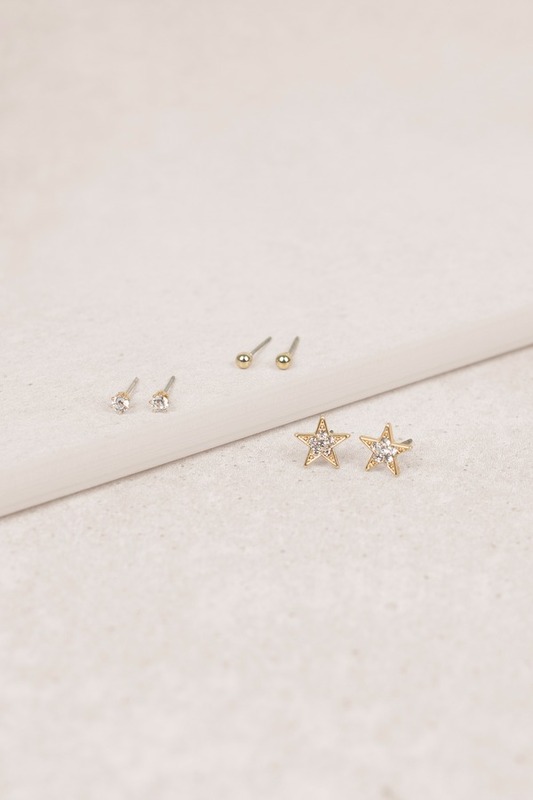 Check out Tobi's Starlie Stud Earring Set Celebrate being a star with The Starlie Stud Earring Set. This features three pairs of stud earrings with push back closures made to mix and match. 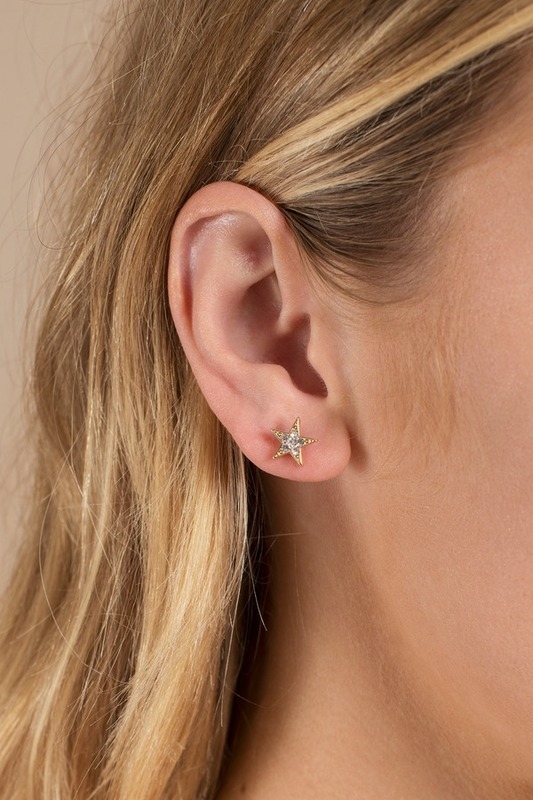 Celebrate being a star with The Starlie Stud Earring Set. This features three pairs of stud earrings with push back closures made to mix and match.